Diwali means lights, sparkling buildings, sweets, crackers, sales, holiday, fun! But what does it mean when you are far away from home? Does living in foreign shores mean no festivities? Maybe for some, but the answer is “absolutely no” for those living in Nigeria. You may miss the family and those beautifully lit malls and shops and sales back home, but celebrations go on nonetheless here. “I feel we celebrate Diwali better than the way we used to in India,” says Indian Women’s Association president Geetika Tondon. “I do miss the pomp and show but Indians being one of the largest communities in Nigeria, we get almost everything here. In fact the celebrations are more elaborate here. 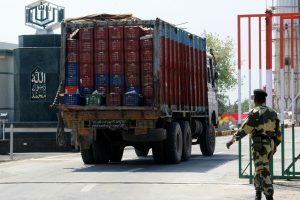 Because of restrictions, the bursting of crackers have gone down in the last five years, but gifts, parties with friends, poojas at offices all make up for the fact that we’re far away from our homeland,” she said. “Wednesday was a busy day, it started with pooja at our offices and then in the evening a lot of friends dropped in with gifts to wish us on the occasion. It was a lovely evening as which we spent at friend’s place playing cards. They had also organized a sumptuous dinner for us,” added Geetika, who teaches at the Indian Language School, Lagos. For Thivya, who hails from Madurai in Tamil Nadu, Diwali is a two-day affair. “In our part of the country, Diwali is celebrated a day in advance. I try to follow the tradition according to which we are supposed to get up at 4 am and pray after taking bath. But for my 10-year-old twins, wearing new clothes and bursting crackers is the most exciting part. Since in school also the girls get to celebrate Diwali in style, they simply love it. Then there are women like Mallika Mehta who make sweets on order for any occasion throughout the year. But of course Diwali is always special. Her passion for cooking made her get into the catering business. 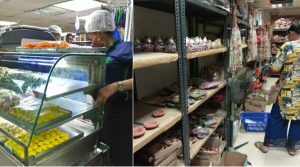 A few Indian owned companies place bulk orders for sweets with her so that they can distribute them among the staff members. “We had a great time on Wednesday as we went out for dinner with friends and colleagues and later kids had a blast bursting crackers,” says Mallika. 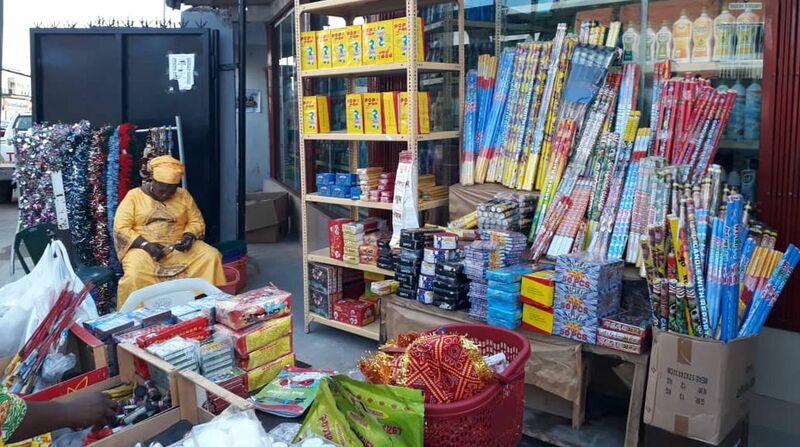 Diwali is over, but not the celebrations, at least not in Lagos. Every year, the Indian Cultural Association (ICA), Lagos, holds a Diwali mela. And this year is no different. “This time it is slated for November 24,” said Sanjeev Tondon, ICA general secretary. “We want to avoid rains that usually lash the region in October and November. And we hold the mela in open in Tafawa Balewa Stadium. No open in Lagos wants to miss the mela as every year we invite a singing sensation from Bollywood to enthral the audience. The fair also gives people a chance to catch up with their friends. This year Neha Kakkar is coming and people are all excited,” he said. Colourful fireworks, candle-lit houses, sweets and parties that was Wednesday for Indians in Lagos, but Diwali is far from over. Are you still in the festive gear like us?